To be honest with you, I've only heard of wheatgrass from what I saw on tv. All I know is since grass nga sya (yeah, I took it literally), I assumed that they taste grass-y too. Judging the book by it's cover to say the least, haha! But, when someone asked me to try the new wheatgrass max from intercare, I asked myself if I really want to taste and try it, and after 5 minutes of thinking I said yes. Haha! Maybe it's high time for me to try something that's health beneficial and put something healthy in my system. Since I'm new to this and probably some of you are not also familiar with the benefits of wheatgrass, let me enlighten you with what I've discovered with Wheatgrass Max. Improves Power and Stamina - The deep-green Wheatgrass powder in Wheatgrass MAX contains a number of important nutrients available in the natural synergistic form that makes Wheargrass MAX a complete food that the body requires daily to enhance Power and Stamina. Among the major nutrients in Wheatgrass MAX are high percentages of carbohydrates, protein, vitamins, minerals, antioxidants, chlorophyll and insoluble fiber. 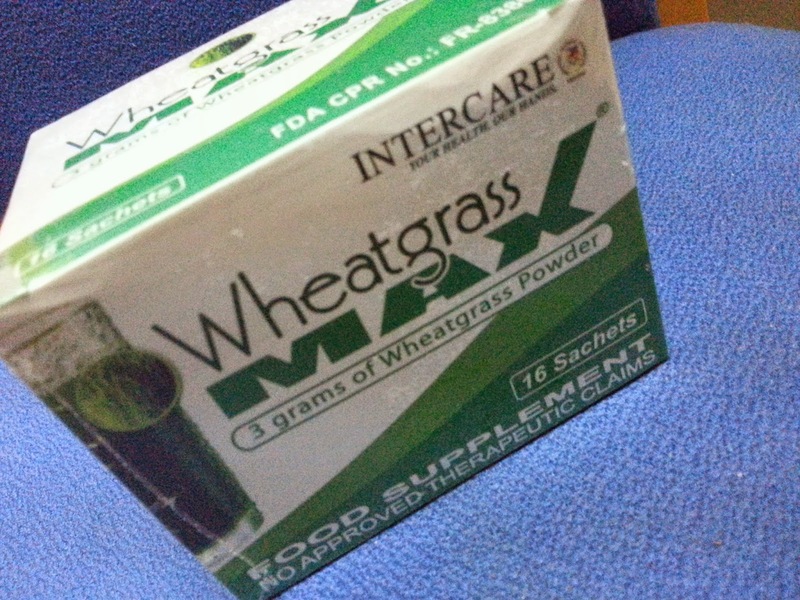 Wheatgrass MAX also has an astonishingly high amino acid content including the eight essential amino acids. Leucine promotes the healing of muscle tissue, skin and bones and aids in increasing growth hormone production. Methionine is a powerful anti-oxidant and assists the breakdown of fats, thus also helps in preventing build up of fat. Valine is needed for muscle metabolism and coordination, tissue repair and for the maintenance of proper nitrogen balance in the body. Reduces symptoms of Chronic Fatigue and increases energy level - It's highly alkaline chlorophyll content helps restore the body's acid-alkaline balance that is essential in maintaining normal body functions Chlorophyll also increases oxygen uptake in the blood which increases energy and helps relieve fatigue. Boosts the Immune System against Diseases - Wheatgrass MAX's powerful antioxidant's, Vitamin A and C, enzymes and phytochemicals shield the body's healthy cells from the destructive free radicals' oxidative damage thus fortifying the body's natural protection against common health threats. Detoxifies the Body - Wheatgrass MAX's powder contains insoluble fibers that effectively ease the daily elimination of body wastes and toxins. There are 16 sachets in a box and it contains over 90 minerals, including alkaline, minerals, potassium, calcium, magnesium and sodium. 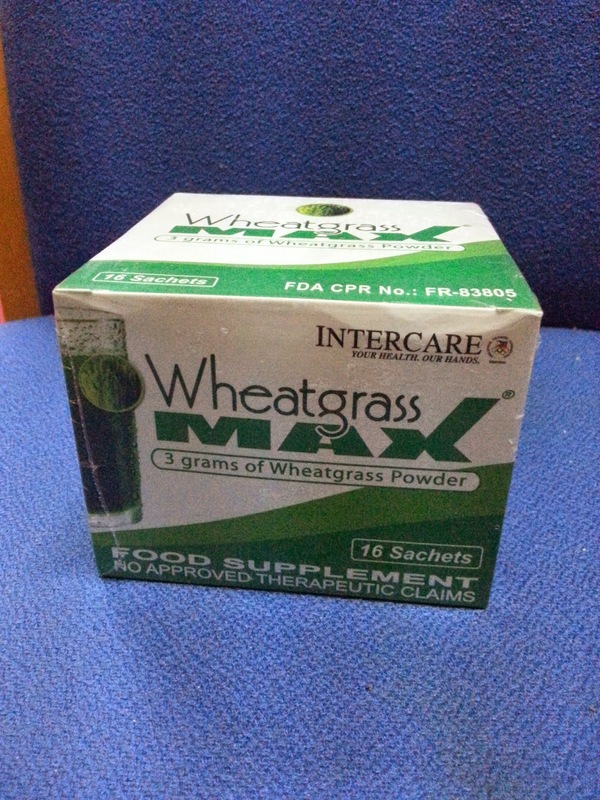 The deep green color along with the aroma and taste of fresh wheatgrass indicates the superior quality and process used in making WheatgrassMAX. This ensures that each glass of WheatgrassMAX contains all the health enchancing nutrients found in top-quality wheatgrass. One teaspoon of wheatgrass powder is nutrionally equal to an entire spinach salad weighing a full 50grams. Did you know that Wheatgrass MAX has more vitamin C than oranges and has more than twice the vitamin A in carrots? Yep! And with wonky weather like ours, we are prone to colds and coughs, that's why 1 glass a day of Wheatgrass MAX will be one of our weapons to boost our immune system. And about the taste, I guess I expected worse. But, this one is bearable. Just pour 1 sachet in a glass and put cold water over the powder and that's it! I guess if it's really cold, you won't feel the taste of the grass-y thing. It's not bad as I expected, haha! If you drink this everyday, you'll get use to it. Just think that you're getting all the benefits Wheatgrass MAX has to offer. 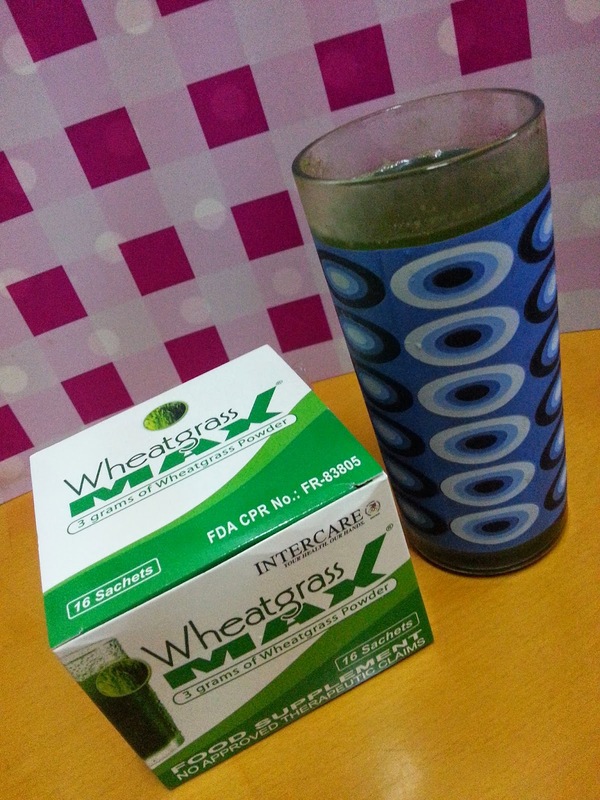 Wheatgrass MAX is a product of Herbcare.